Frank Gotch statue ceremony is July 4!!! – Add your name to the brick walkway around the statue via donations. 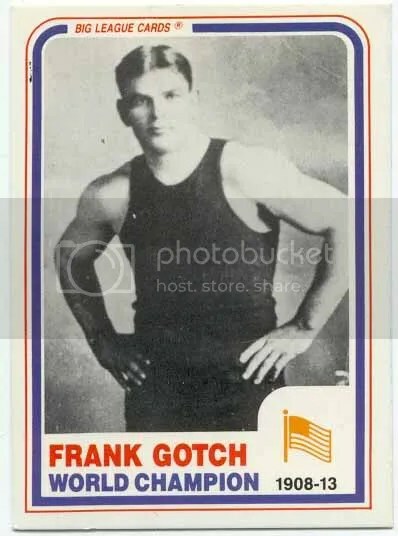 Frank Gotch was world heavyweight wrestling champion from 1908 to 1915, the best known athlete of his era. HUMBOLDT, Iowa – The hometown of world wrestling champion Frank Gotch, one of the nation’s best-known athletes in the early part of the 20th Century, is honoring its most famous citizen with a bronze statue to be placed in Bicknell Park. The unveiling ceremony is set for this summer. All wrestling fans are invited to be a part of wrestling history by making a donation in exchange for their name on a brick or a bench. The project is being run by a not-for-profit organization called the Frank Gotch Statue Committee. Jeff Adams, an artist from Mount Morris, Illinois, was selected from several sculptors bidding on the project and began work in October. The statue will be unveiled in special ceremonies on July 4. In addition, the Humboldt City Council recently voted to name the street in front of the park Frank Gotch Boulevard and the signs are already up. 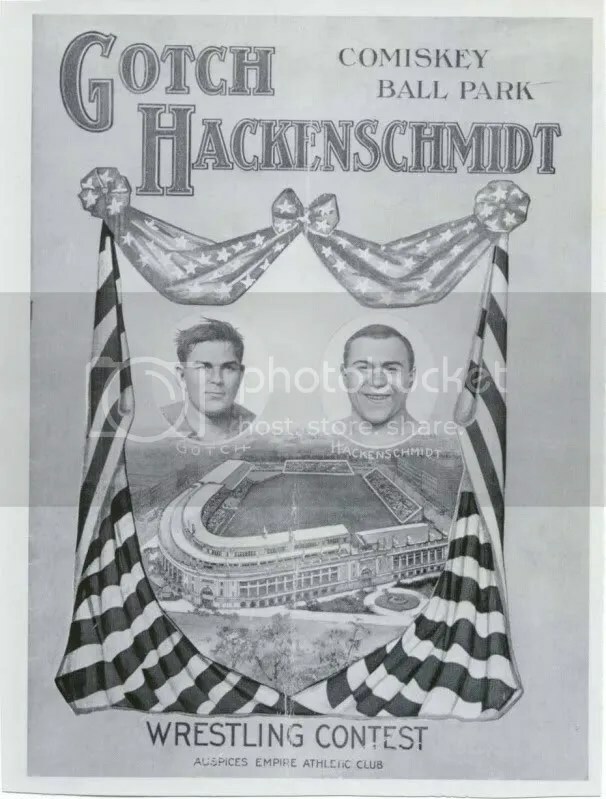 Bicknell Park was the site of Gotch’s training camp prior to his epic match with George Hackenschmidt, known as The Russian Lion, on September 3, 1911, in Chicago. Gotch set up camp by the small bluff on the Des Moines River and spectators flocked to watch the world champion in training. Sports reporters from around the nation converged on Humboldt the month prior to the match. 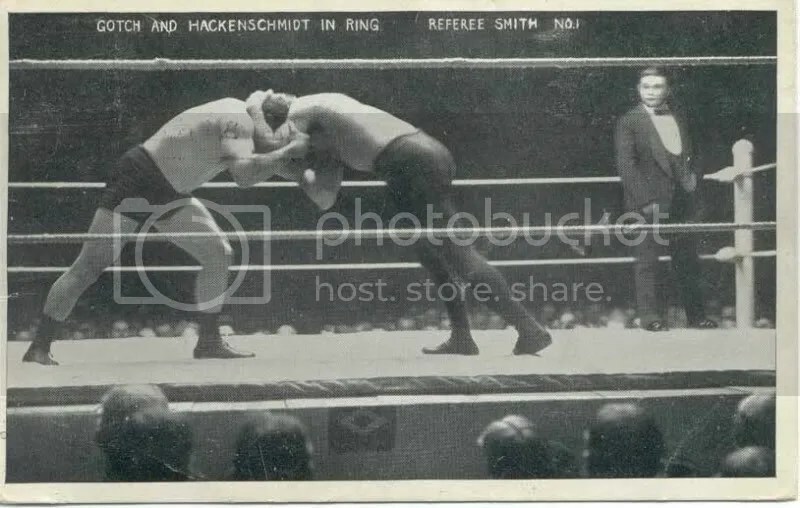 One reporter estimated that one day there were nearly 2,000 fans down by the park watching Gotch train. The camp consisted of a large ring, handball courts and an area for wall pulleys and punching bags. Several of the top wrestlers in the world came to the camp at various times to serve as workout partners for Gotch. 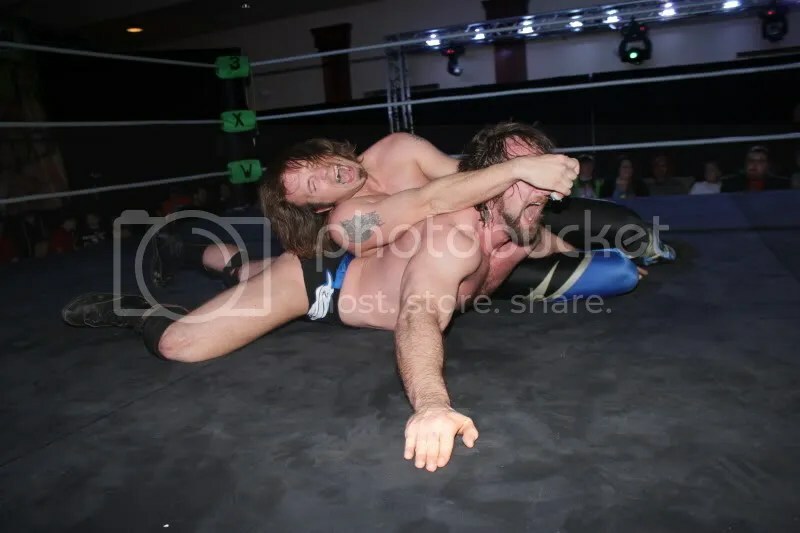 His training was supervised by Farmer Burns, considered the greatest professional wrestling instructor of all time. • $500 for a world champion brick (your name on a 8 inch by 8 inch brick in the first 3 rows next to the statue). The statue will be made of bronze and stand eight-foot tall, depicting Gotch in a familiar pose with hands on hips while attired in a wrestling uniform. It will be placed on a two-foot high pedestal, with accompanying information on his career and life in Humboldt. A spotlight will illuminate the statue at night. 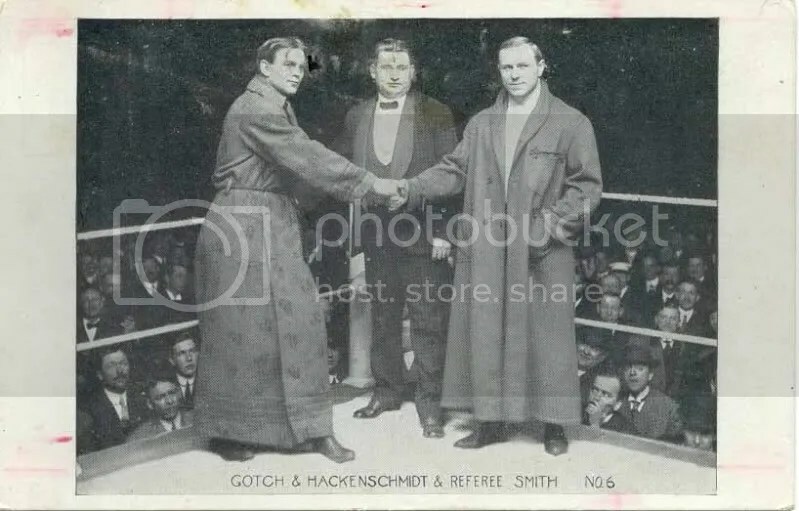 Gotch was undefeated during his seven-year rein (1908-1915) as world champion and won his last 88 matches in a row. He owned a considerable amount of land in Iowa and Minnesota and was active in the community in a variety of ways. He was part owner of an automobile dealership in Humboldt and served on several civic boards. 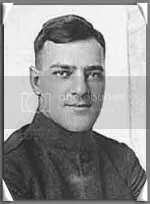 He was even being considered to star in a movie in Hollywood and the Republican Party of Iowa was looking at him as a possible candidate for governor in 1920. But Gotch fell ill in early 1917 and died on December 16, 1917, at the age of 39, of kidney failure. His death was front-page news all around the nation and an estimated 2,000 people attended his funeral. He is buried in a large mausoleum in Union Cemetery, two miles west of town. The statue committee is comprised of various members of the Humboldt community, as well as two noteworthy “outsiders.” Frank Gotch III is the grandson of the legendary wrestler and currently lives near Austin, Texas. He is an honorary member. Mike Chapman is one of the nation’s leading wrestling historians and the author of 22 books, including three on Gotch. One of them, Gotch: An American Hero, is under development as a major motion picture. “We are delighted that the grandson of Frank Gotch and a well-known historian are helping us with the project,” said Reimers. 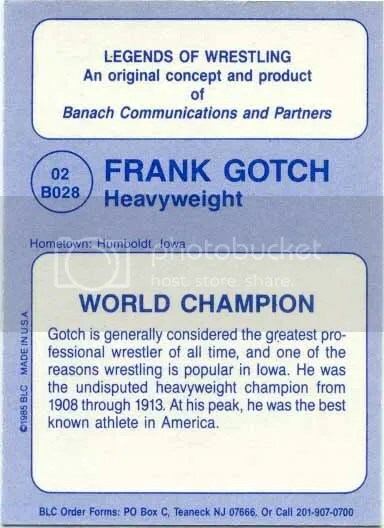 Anyone wishing more information should contact the Frank Gotch Project, c/o Friends of the Park, PO Box 247, Humboldt, Iowa, 50548, or call Tonya Harklau at 515-332-3285 (or harklauj@goldfieldaccess.net) for further details. Donations are tax deductible to the extent offered by the law. Mike Chapman receives his 2010 MWR Lifetime Achievement plaque. 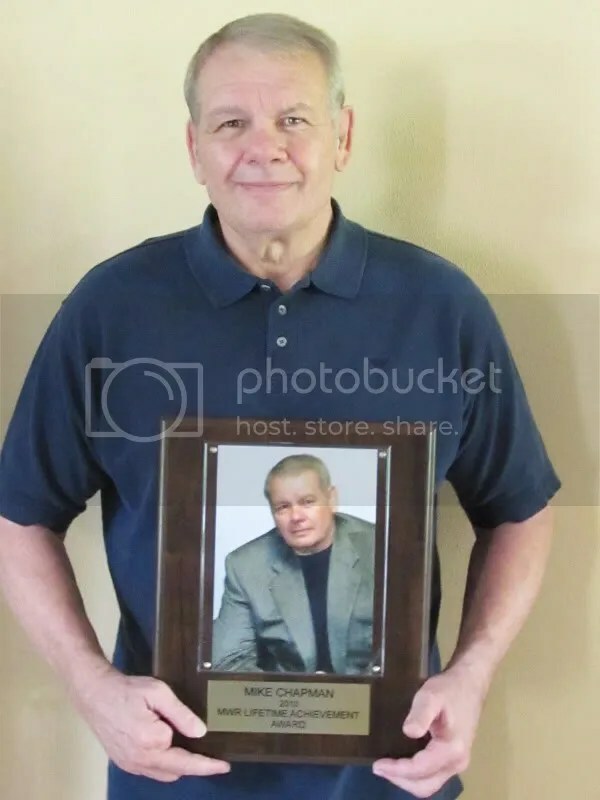 Recently I was honored to be invited to the home of wrestling historian Mike Chapman to present him with the 2010 Missouri Wrestling Revival lifetime achievement plaque. It has taken me some time to write about this, because I wanted to be able to put over the fact that how much I appreciated to be a guest in Mike Chapman‘s home. With that said here I go. 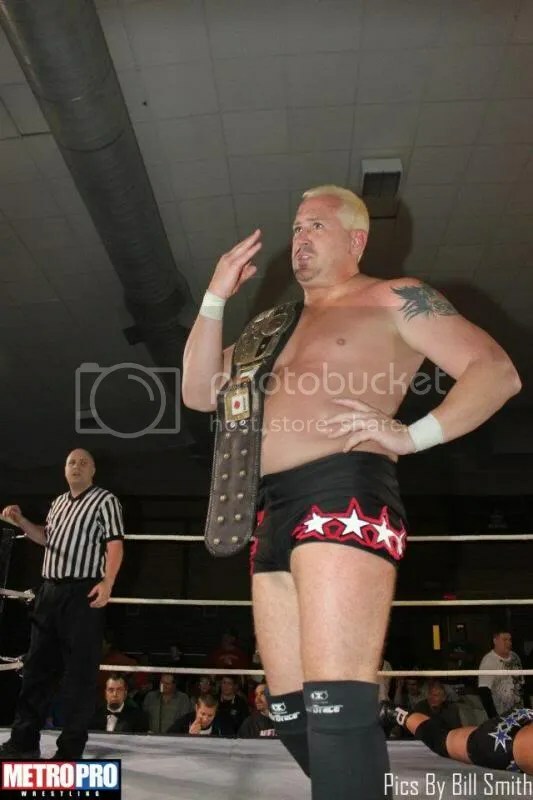 The MWR Lifetime Achievment award in the past have been given to 8 times NWA World Champion Harley Race in 2008 For his many great years in the sport and continued support of wrestling and communities in the Midwest. 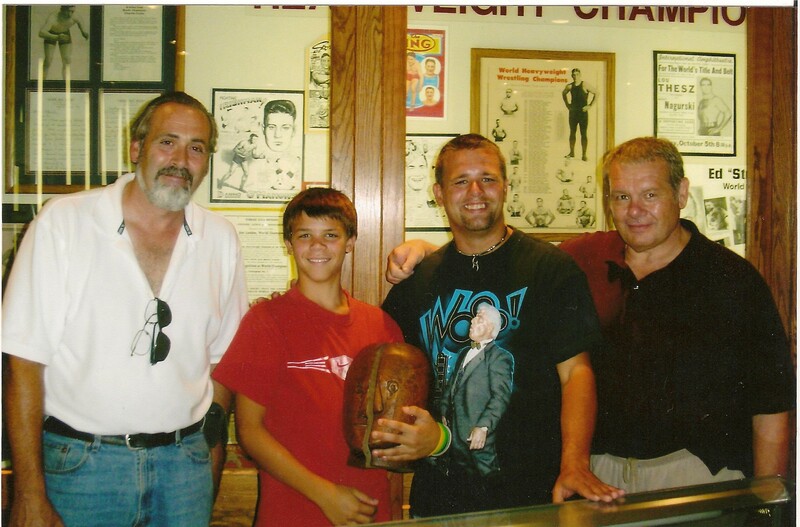 Last year in 2009 we presented the award to Wrestling at the Chase announcer and wrestling historian Larry Matysik. The award is given to the man or women who have been a positive influence in the Midwest throughout their years in the sport. When we sat down to decide who was deserving of the 2010 MWR Lifetime Achievement Award receipt, we wanted an individual who had been active in bringing to the Midwest a positive endorsement for the sport that we love. Mike Chapman was an easy choice. 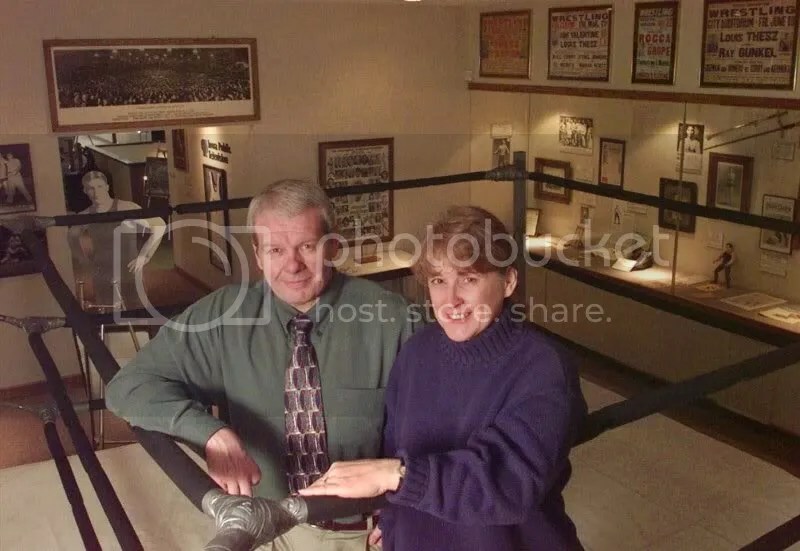 As his bio states at his website Mike Chapman retired from a 35-year newspaper career in 2002 and in 2009 retired from an 11-year career serving as the executive director of the Dan Gable International Wrestling Institute and Museum (DGIWIM). As a writer, he has met and interviewed such people as Ronald Reagan, Muhammad Ali, Robert Redford, Lou Ferrigno (The Incredible Hulk from TV fame) and many other famous stars of movies and sports. Mike has appeared on numerous TV shows –including the networks ESPN, A&E, Fox Sports, Iowa Public Television and Fox and Friends. He has been the guest on over 200 radio talk shows. In 2009 retired from an 11-year career serving as the executive director of the Dan Gable International Wrestling Institute and Museum (DGIWIM). That is just a quick look at some of the accomplishments of Mike Chapman. For more please take a look at his website here. 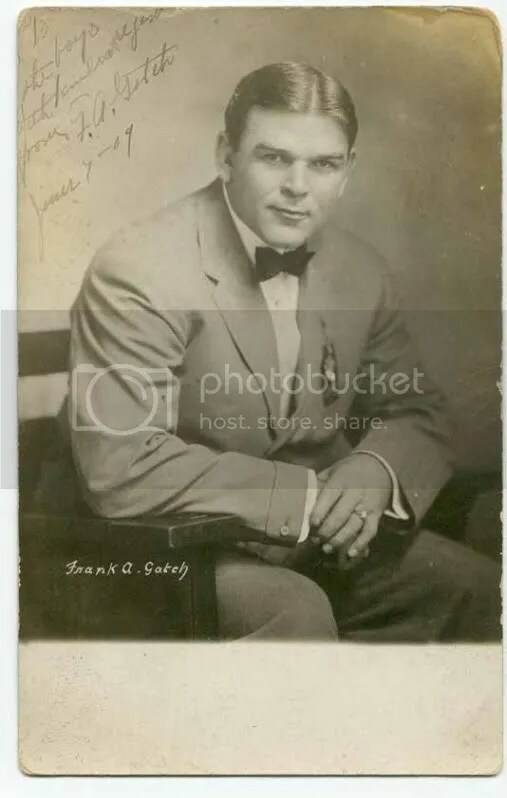 Before I made the drive to Mikes home, I had read his book, Frank Gotch An American Hero. When I finished the last page and put the book down, I truly was a fan for life of the great Frank Gotch. 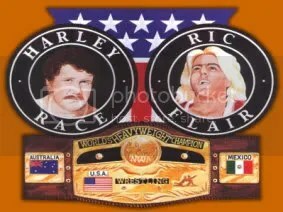 During our time together at his house Mike would show me many of his personal collection of the greats in pro wrestling . 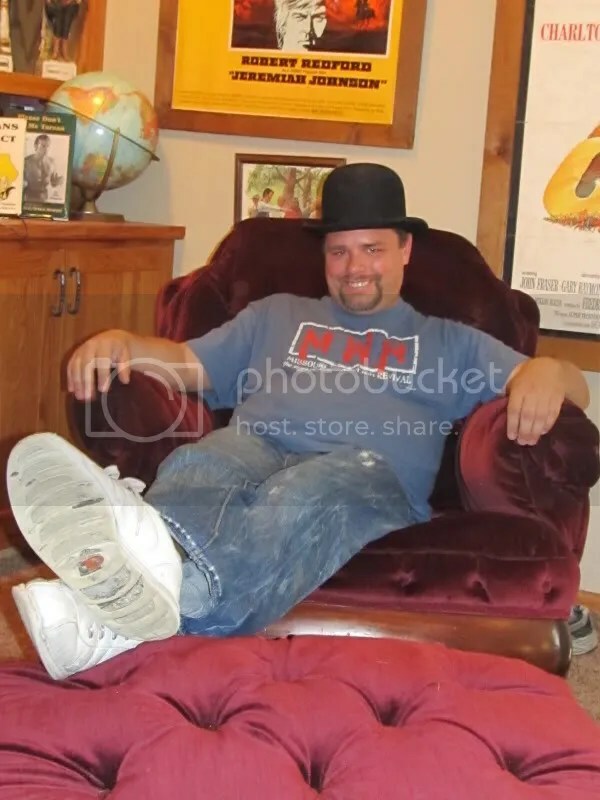 One memorable item for me was the opportunity to wear the bowler hat that Gotch personally owned while sitting in the chair that Mike had bought from the Gotch home during an auction at his house. For a few hours, Mike shared story after story of his time around the ALL-TIME greats including Lou Thesz and Danny Hodge. Mike spoke of the sad days at the flood at the Dan Gable International Wrestling Institute and Museum (DGIWIM) in Waterloo when so many important items were lost. When I asked about the City of Humboldt to honor Frank Gotch with a statue in park his eyes lit up letting me know how proud of the work that the men and women involved had done during a recent open house to raise funds for the statue in Humboldt. MWR will keep you posted of the progress of the statue her at MWR when more details come out. It is with great hope that we are able to cover such an historic event, honoring one of the all time greats in Frank Gotch. 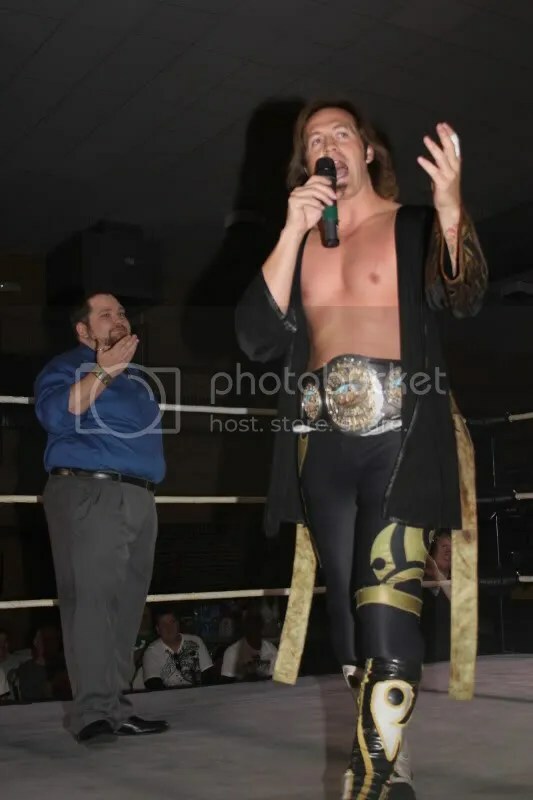 The world of pro wrestling in the Midwest should be thankful to have Mike Chapman as a presence in the sport. His time and efforts have been instrumental in keeping the legacy of the golden age of wrestling alive. When the time came to leave Mikes house I knew that he had given his heart and soul to each of his passions. In the end I came to the conclusion that he deserved each and every award and HOF inductions . Mike has spent a lifetime given back to many people and it is with great hope that I hopes that he knew that I was honored to present him with the 2010 MWR Lifetime Achievement Award. HUMBOLDT, Iowa – The hometown of world wrestling champion Frank Gotch, one of the nation’s best-known athletes in the early part of the 20th Century, is making plans to honor its most famous citizen with a statue to be placed in Bicknell Park. The park occupies the site where Gotch trained for his most important match. The project is being run by a not-for-profit organization called the Frank Gotch Statue Committee. The camp consisted of a large ring, handball courts and an area for wall pulleys and punching bags. Several of the top wrestler in the world came to the camp at various times to serve as workout partners for Gotch. 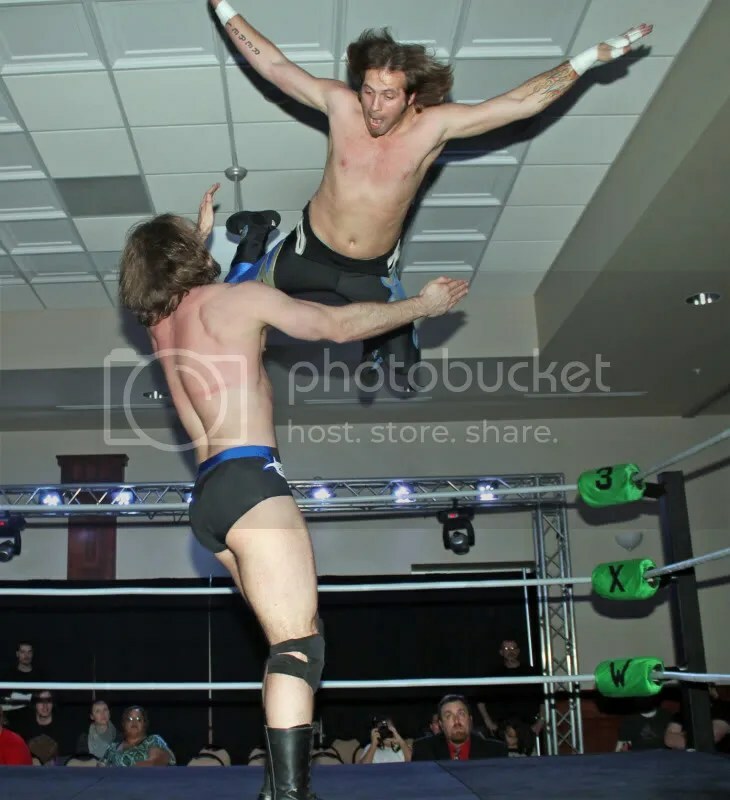 His training was supervised by Farmer Burns, considered the greatest professional wrestling instructor of all time. Bicknell Park was donated to the city in 1920. The project will include a brick walkway around the pedestal the statue stands on. The statue will be made of bronze and stand eight-foot tall, depicting Gotch in a familiar pose with hands on hips while attired in a wrestling uniform. It will be placed on a two-foot high pedestal, with accompanying information on his career and life in Humboldt. Gotch was undefeated during his seven-year rein as world champion and won his last 88 matches in a row. He owned a considerable amount of land in Iowa and Minnesota and was active in the community in a variety of ways. He was part owner of an automobile dealership in Humboldt and served on several civic boards. He was even being considered to star in a movie in Hollywood and the Republican Party of Iowa was looking at him as a possible candidate for governor in 1920. The statue committee is comprised of various members of the Humboldt community, as well as two noteworthy “outsiders.” Frank Gotch III is the grandson of the legendary wrestler and currently lives near Austin, Texas. He has agreed to serve as an honorary member. 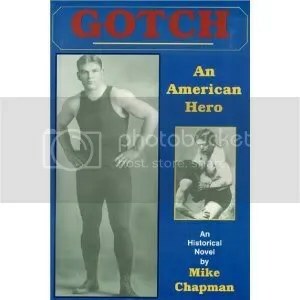 Mike Chapman is one of the nation’s leading wrestling historians and the author of 22 books, including three on Gotch. One of them, Gotch: An American Hero, has been purchased by Empire Film Group in Los Angeles and is under development as a major motion picture. Other members of the committee are Ron Wasoba, former Humboldt High School wrestling coach, who is co-chair; Tonya Harklau, former executive director of the Humboldt Area Chamber of Commerce; Maurey Abens, Chad Beaman, Jana Bratland, Ken Bratland, Kent Clendenen, Todd Lee, Phil Monson and Bruce Reimers, a former NFL football player from Humboldt who played in a Super Bowl as a member of the Cincinnati Bengals. Oklahoma Shooter: The Dan Hodge Story. NEWTON, Iowa – The incredible athletic career of Dan Hodge, the only man to ever win national titles in both boxing and wrestling, has been published by Culture House Books and is now available. 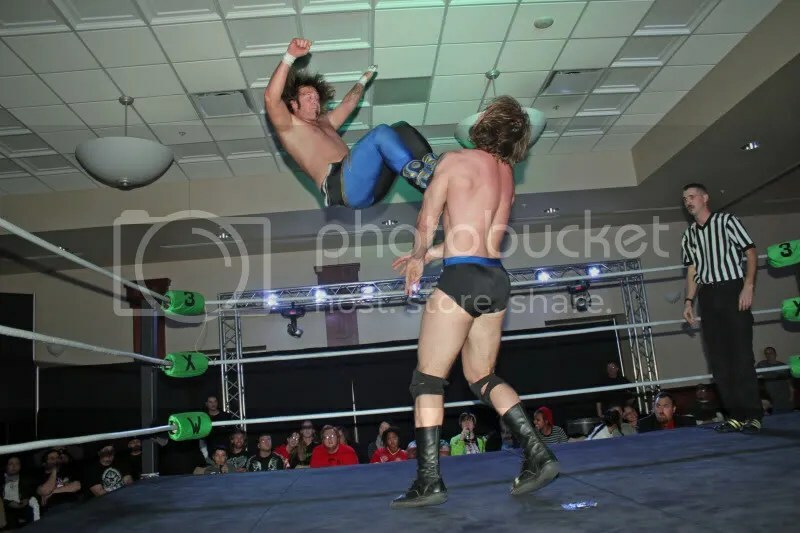 It is called Oklahoma Shooter: The Dan Hodge Story. Hodge came out of Perry, Oklahoma, to set the amateur wrestling world on fire in the mid 1950s. He won three NCAA Championships at 177 pounds for the University of Oklahoma, never losing a match or even a takedown. He also won three national titles in freestyle wrestling and one in Greco-Roman. He also competed on two Olympic teams. He made the 1952 team as an unheralded 19-year-old, at that time the youngest wrestler ever to make an Olympic team. In 1956, he won the silver medal in the 174-pound class in Melbourne, Australia. On April 1, 1957, Hodge was on the cover of Sports Illustrated magazine, the only amateur wrestler ever accorded such an honor. After completing his amateur wrestling career with his third NCAA title in 1957, Hodge turned to boxing. He was 17-0 as an amateur boxer and on March 24, 1958, won the National Golden Gloves heavyweight title with a dramatic knockout victory in Madison Square Garden! 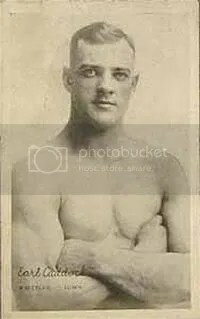 Hodge boxed briefly as a professional, posting a record of 8-2 and at one time was being considered for a world title shot against champion Floyd Patterson. In the book, he discloses for the first time the behind-the-scenes problems he had with the business, and why he left boxing even though he had a promising future. 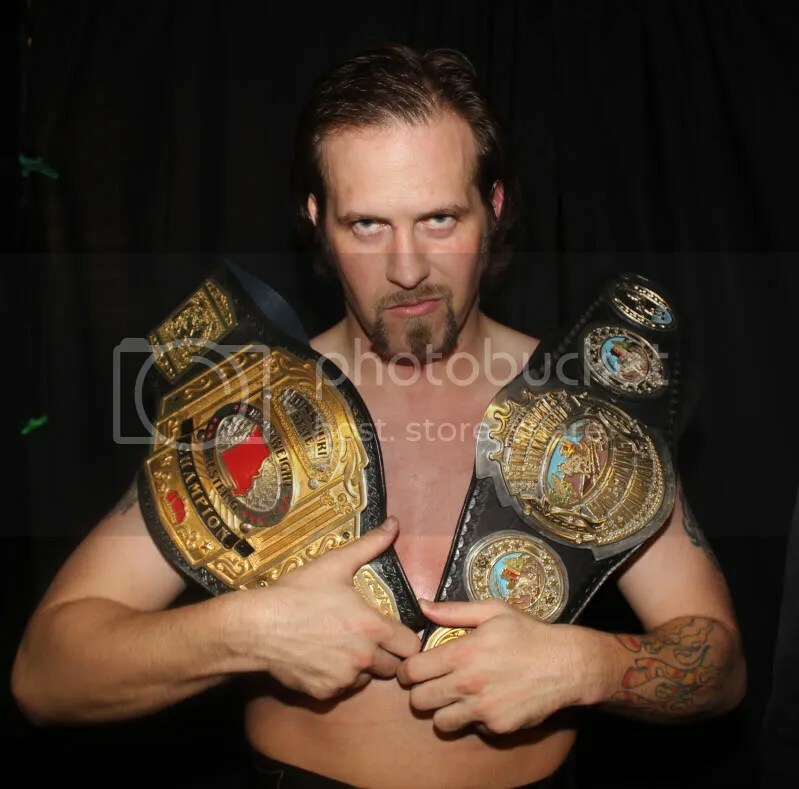 After his horrible experience in pro boxing, Hodge became a professional wrestler and is regarded as the greatest junior heavyweight champion of all time. 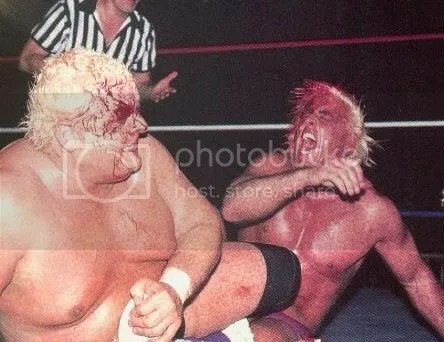 He is also considered one of the greatest “shooters” (a wrestler willing to wrestle for real at any time) in the history of the sport. The book concludes with a ranking of where Dan Hodge fits on the list of the greatest shooters of all time, dating back to the start of the early 1900s. Author Mike Chapman has known Dan and his wife, Dolores, for over 30 years and has spent considerable time with Dan talking about his incredible career. 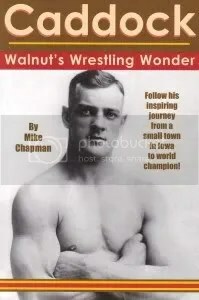 A recognized author and historian, Chapman is the founder of the Dan Gable International Wrestling Institute and Museum in Waterloo, Iowa, and the founder of W.I.N. 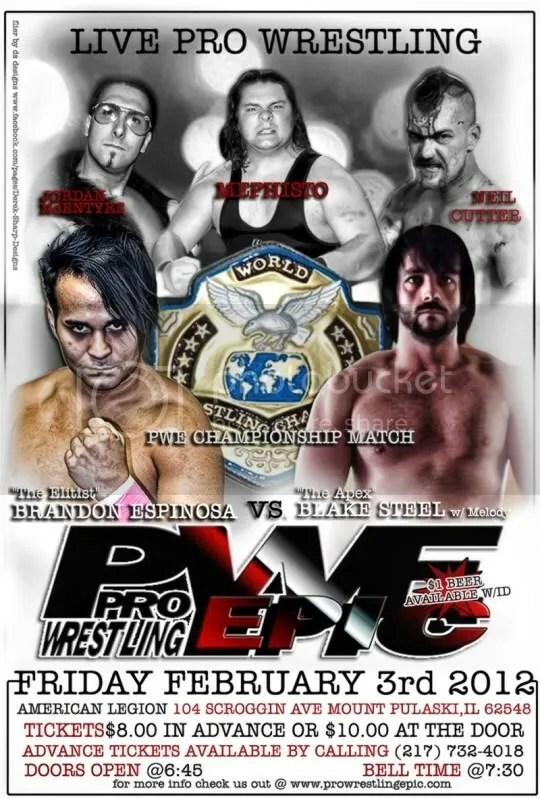 magazine, one of the top wrestling publications in the country. He has been named National Wrestling Writer of the Year six times, by five different organizations. 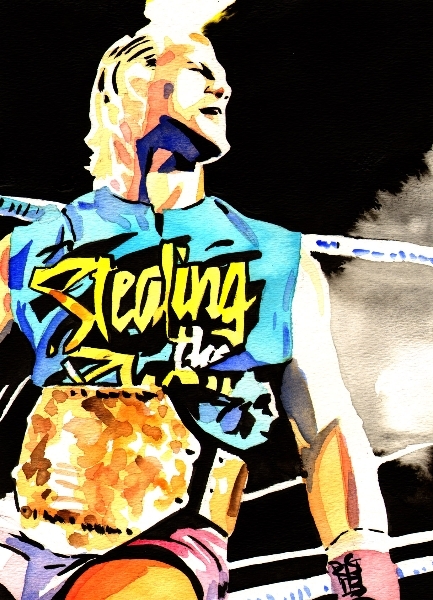 This is his 21st book, and 15th on wrestling. 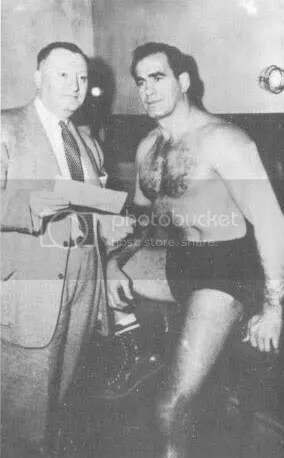 The foreword was written by Jim “J.R.” Ross, one of the best-known announcers and commentators in pro wrestling history. 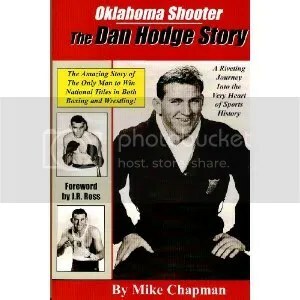 Oklahoma Shooter: The Dan Hodge Story is published by culture House Books of Newton, Iowa, a small publishing company that specializes in books about sports legends and movie personalities. It sells for $22.95, with $5 shipping and handling costs. Persons can order the book by calling Culture House Books at 641-791-3072.